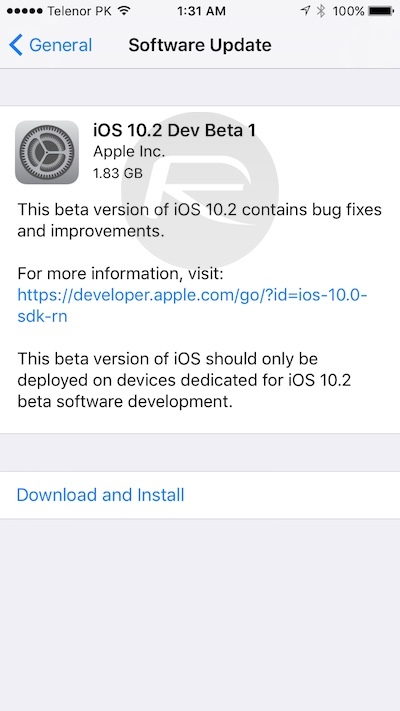 Apple has just made available for download iOS 10.2 beta 1 for developers registered on the Apple Developer Program. 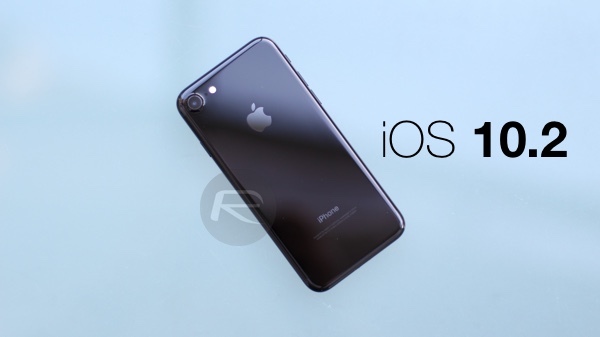 The immediate release of the beta 1 version of iOS 10.2 follows hot on the heels of Apple’s iOS 10.1.1 bug fix release which was issued earlier today for all the supported iPhone, iPad and iPod touch devices. This new iOS 10.2 beta seed, of course, gives developers and testers the opportunity to interact with new features that have been added in this release. First and foremost, it’s worth pointing out that iOS 10.2 may not contain a ton of new features like those that were bundled into the initial release of iOS 10. Still for a 10.2 update, it may contain couple of new features like iOS 10.1. It’s currently not known what exactly is new in this release apart from usual bug fixes and security patches. We will of course update this story as soon as we get to learn more about Apple’s latest release for iPhone, iPad and iPod touch devices. With initial iOS 10.0.x release, Apple introduced a whole host of new features that dramatically took the platform to the next level. Wholesale changes to the native Messages app were introduced, bringing full-screen and other effects, complete with a built-in iMessage App Store that allows new apps and sticker packs to be easily installed. Put that together with the new rich notification system, the new mapping system, and the 100s of other changes, and you find yourself with a developing platform that genuinely compliments the power of iPhone and iPad. With iOS 10.1, Apple added Portrait mode for iPhone 7 Plus users so that they could best make use of the dual-lens camera system present in the device. And now only one week after iOS 10.1 was released to public, and a few hours after 10.1.1 was released, Apple has now dropped first beta of iOS 10.2. As always, anyone already registered on Apple Developer Program can get the over-the-air update from Settings > General > Software Update section of the device. The IPSW file for iOS 10.2 can also be downloaded from developer.apple.com for a fresh clean install using iTunes. Apple hasn’t release iOS 10.2. to public beta testers yet but it’s only a matter time before they do that. We’ll keep you updated! Stay tuned! At this rate, we will be at iOS 10.9.9.8.4 before the new iPhone comes out. Pangu will release a jailbreak at 10.1.1.2.1, confirmed.